Enjoy a colorful action-adventure game made alongside Ryuichi Nishizawa, creator of the original Wonder Boy in Monster World series. Monster Boy and the Cursed Kingdom borrows the best from the classic series to deliver a fresh, modern adventure with fun gameplay, memorable music and gorgeous hand drawn animations. 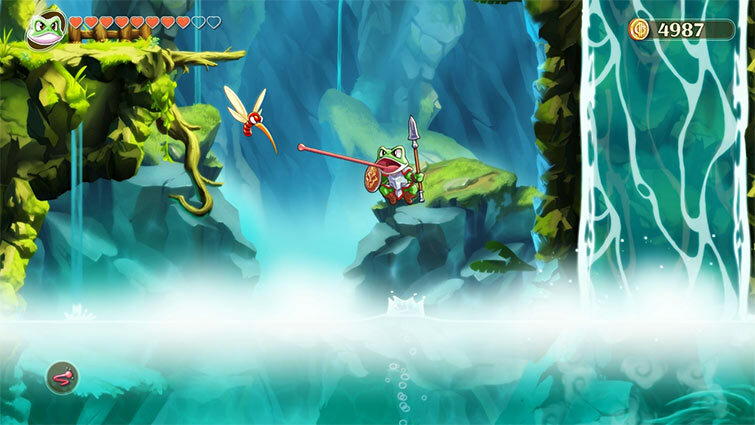 Monster Boy and the Cursed Kingdom not only pays faithful homage to Wonder Boy, particularly The Dragon's Trap, but by refining the solid foundations of its spiritual predecessors with modern affordances, it becomes a rich platforming adventure in its own right. With a well-realized world filled to the brim with secrets and excellent platforming mechanics that always keeps things interesting, the Cursed Kingdom is a place you will want to discover every corner of. The result is that some people will absolutely love Monster Boy and the Cursed Kingdom, and others will be enraged by it. I sit somewhere in the middle – I really like it, but its flaws have soured my experience with it. For those with a great deal of patience looking for a challenging 2D platformer with huge amounts of character, Monster Boy and the Cursed Kingdom is great. For everyone else, it’s likely to be frustrating just as often as it is fun, severely putting a dampener on the whole affair. Any fan of 2D action games should pick this game up without question, and don’t worry if you’ve never played this series before, I was able to enjoy it fully with absolutely no knowledge of it. This is one newer game that harkens back to the old days that does it well and will be remembered for a nice long while. 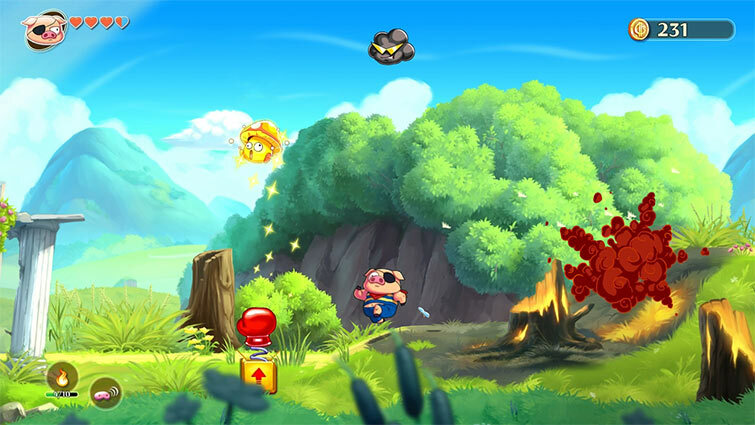 Un gran juego con mucho sabor clĂĄsico, divertido y variado, y recomendadĂ­simo para los fans de Wonder Boy y los plataformas 2D de antaĂąo. 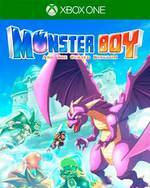 Monster Boy and the Cursed Kingdom es una maravilla se mire por donde se mire. Game Atelier ha sabido mejorar la fórmula de la saga añadiéndole mecánicas algo más actuales y consigue que cada paso en el juego sea aún más divertido que el anterior. Pocos peros se le pueden achacar a este fantástico homenaje a la marca creada por Ryuichi Nishizawa aunque hemos encontrado alguno, por ejemplo la traducción al castellano flojea un poco y el diseño de niveles puede pecar de clasista en algunos momentos volviéndose algo arcaico. Doch solche verhältnismäßig kleine Macken verblassen angesichts clever orchestrierter Bosskämpfe und der gutgelaunten Entdecker-Atmosphäre! Alles in allem ein gelungenes Action-Adventure mit rund 15 Stunden Umfang, bei dem mich vor allem die toll eingeflochtenen Umgebungs-Rätsel verblüfft haben: Ähnlich wie in Ori and the Blind Forest kam mir nach kurzem Grübeln fast immer der rettende Einfall! 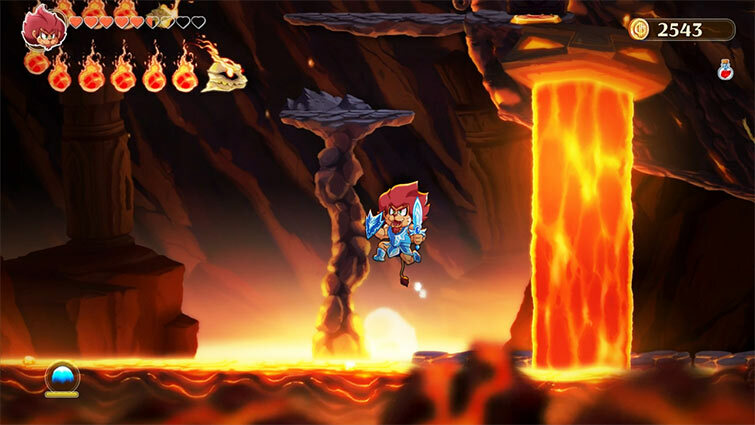 En toute honnêteté, on attendait Monster Boy et le Royaume Maudit comme la jolie résurrection d'une licence chère à tout une foule de joueurs, avec des larmes de nostalgie prêtes à couler, mais sans forcément espérer plus que de bonnes références et un bon mix action/exploration/plate-forme. Le résultat dépasse largement nos ce qu'on imaginait. Dans les univers de ce Metroidvania aux couleurs chatoyantes, chaque pièce d'équipement, chaque transformation en animal mutant et chaque pouvoir composent un gameplay maîtrisé aussi bien dans les combats que lors des phases d'exploration. Avec ses puzzles variés, ce Monster Boy se paye en plus le luxe d'être parfaitement compréhensible malgré ses multiples possibilités, livrant ainsi une expérience idéalement calibrée, et rarement frustrante. 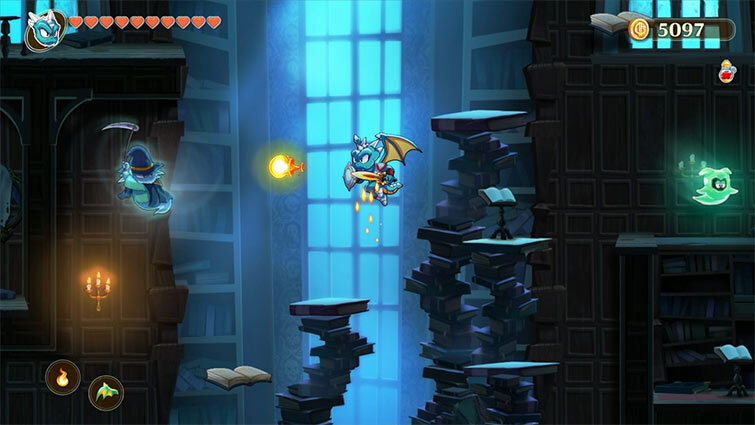 Monster Boy e il Regno Maledetto si è rivelato essere un platform game estremamente coinvolgente, ricco di sorprese e ben calibrato, tra ambientazioni animate da vivaci colori e un gameplay con un’enorme varietà di situazioni, il tutto con un livello di sfida che lo rende impegnativo ma mai frustrante, dandoci così molte soddisfazioni per ogni risultato raggiunto. Monster Boy and the Cursed Kingdom rappresenta senza ombra di dubbio il modo migliore per rivitalizzare la serie e rilanciarla in grande stile, rispettando tutto ciò che ha rappresentato in passato ed evolvendo la formula verso la direzione più corretta. Game Atelier non ha voluto rischiare eccessivamente e sono chiarissimi i rimandi ad alcuni vecchi capitoli, ma se il gioco avrà il successo che merita, i modi per andare oltre e fare ancora meglio sono molteplici. 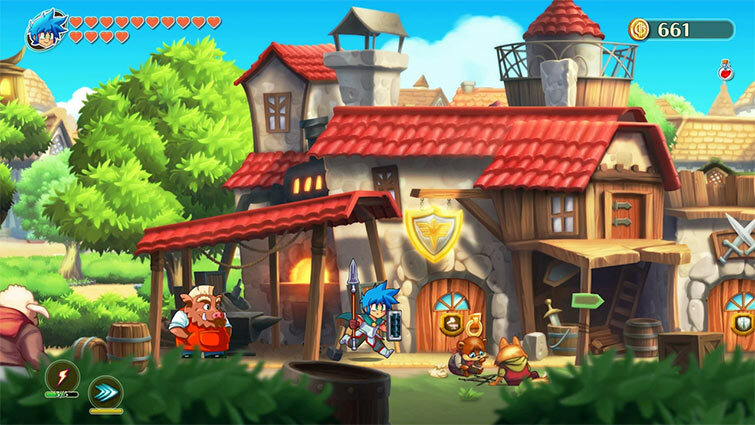 Monster Boy and the Cursed Kingdom è stato una piccola rivelazione: il titolo Game Atelier è un gioiellino che dà lezioni di level design ai tripla A più blasonati con una fedeltà e un rispetto per l'opera originale di Nishizawa che non deforma ma anzi arricchisce il franchise, proiettandolo nel presente senza dimenticare la tradizione. È un gioco pieno di luci, Monster Boy and the Cursed Kingdom, dove le ombre di qualche piccolo momento di frustrazione si perdono in un trionfo di colori, umorismo e fantasia.